This year’s event is focused on ‘Recycling into the Future’ and is centred on the power of youth, education and innovation in ensuring a brighter future across the globe. 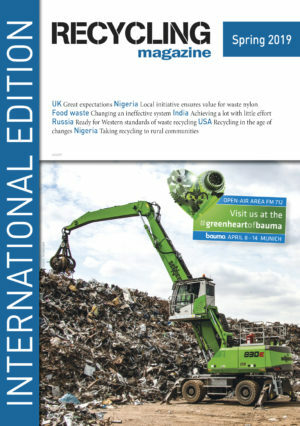 With social media and educational activities to get involved in, and events across the world to attend, the Global Recycling Foundation is encouraging everyone to celebrate these key themes and look towards the impact that today’s young people and future technologies can have on recycling. Key Global Recycling Day activities taking place on the 18th March include the #RecyclingGoals challenge – a football themed social media campaign where people around the world are challenged to take a video of themselves scoring a soccer goal, whilst pledging to make a long term commitment to better recycling practices. Tying in with the global power of soccer, videos are already pouring in using the #RecyclingGoals hashtag – from South Africa to the UK and the Netherlands – and there are some great examples here. There are also more sporting endeavours in India where the Municipal Corporation of Greater Mumbai (BMC), supported by MRAI, is set to host the first Global Recycling Day marathon – a run aiming to create awareness about recycling in a bid to ensure a more sustainable future. Other Global Recycling Day opportunities including joining the many city-centre eventstaking place across the globe; locations include Brussles, Dehli, Dubai, Durban, Lagos, London, Middleburg, Paris, Rotherham, Sao Paolo, Seoul and Washington DC. Schools are also being asked to take part by downloading the Global Recycling Day educational programmes for use in classrooms around the world. Leaders, businesses, communities and individuals are also being asked to use the 18thMarch as a day to pledge to become better recyclers, to lower waste, and reduce, reuse and recycle more. Whether it’s investing in a reusable coffee cup, trying a bamboo toothbrush or cutting out plastic straws, there are some easy ways to reduce plastic consumption. Consider workplace habits and watch how much paper is being printed or how offices could more sustainably dispose of old computers by donating or selling them. Living in a ‘fast fashion’ culture, it’s easy to throw things away without considering how they could be reused. Think about mending, repairing or finding a new use for old belongings. Many areas have different recycling rules and it’s important to be aware of what can and can’t be recycled. Every year the world throws away millions of tonnes of food waste which can end up in landfill sites where it releases greenhouse gases such as methane. Whether it’s mobile phones, cosmetics, eyeglasses or keys, there’s a multitude of surprising everyday products that can be recycled. Recycling is important every day of the year and, with these handy tips, the Global Recycling Foundation is encouraging people to celebrate the power of recycling on Global Recycling Day and beyond. The British Metals Recycling Association (BMRA) has launched a new campaign to encourage members of the public to support their local scrap yard, while raising funds for local schools, community projects and charities.